Missing KCCC inmate Joshua Preston captured. 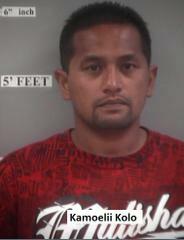 Second inmate, Kamoeli'i Kolo still missing. If seen, call 911. 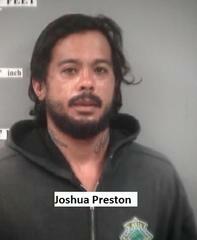 Kauai Police notified the Department of Public Safety that they captured missing inmate Joshua Kaimana Preston. Kamoeli’I Kolo is still missing. Both Preston and Kolo are Lifetime Stand Inmates who made an unauthorized exit from the facility during open recreation time earlier today. 35-year old Kamoeli’I K. Kolo is 5’6” tall and weighs 165 lbs. He has Black hair and Brown eyes. He is a sentenced misdemeanant with a release date of May 21, 2018. If you see Kolo, please call 911. Inmate Kamoeli’I K. Kolo and Joshua Kaimana Preston are a community custody. Community custody is the lowest classification status. Both men face an additional escape charge. LTS, KCCC's reintegration program, is a dorm-style building that focuses on offender reintegration services and a work release program for sentenced inmates who will be released on the island of Kauai.